Posted May 9th, 2014 by alexa & filed under Weddings. 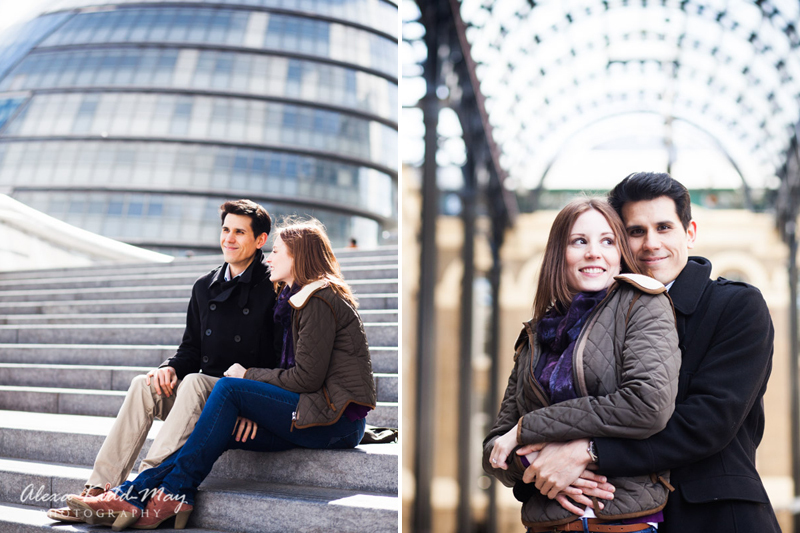 Choosing a location for an engagement photoshoot with a couple is an important decision. I like to ask them if there’s a particular place that means a lot to them. This is important as it can bring an extra dimension to the photos. 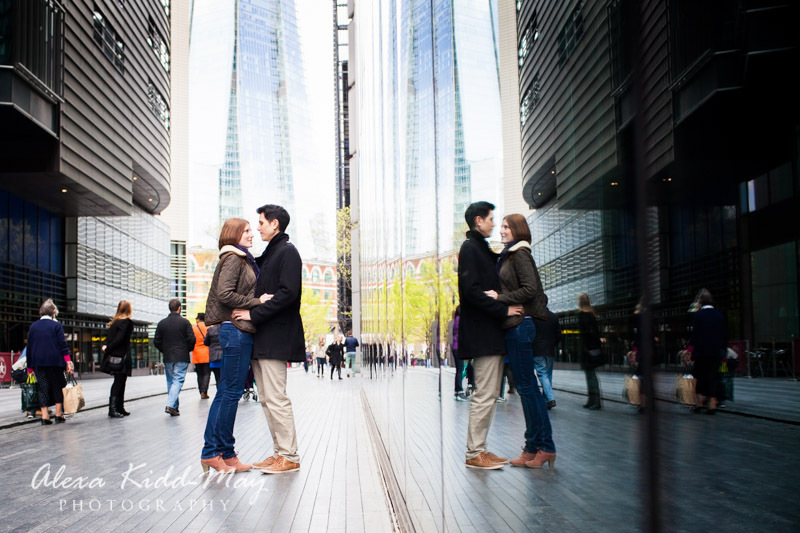 When I asked Becky and Derek that question they wanted to be close to the Shard as that was where Derek proposed. What a lovely romantic connection this would be! 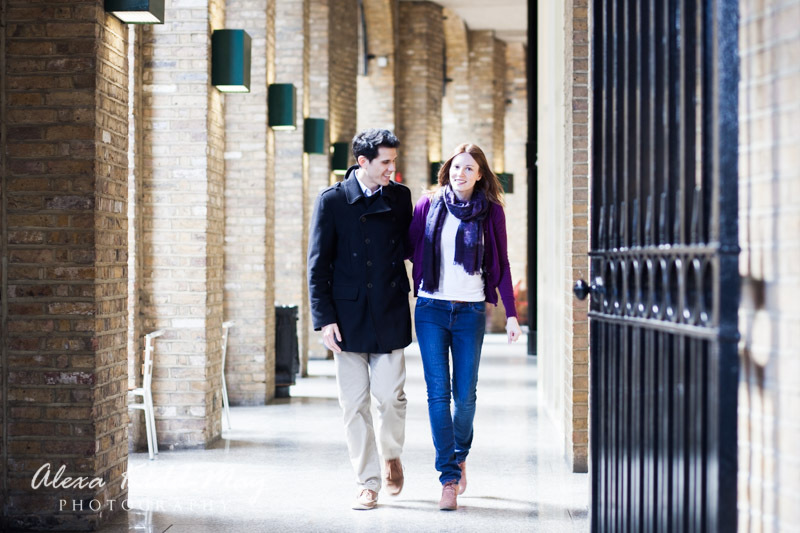 And it also happens to be a fabulous area near the river Thames with plenty of quirky features. 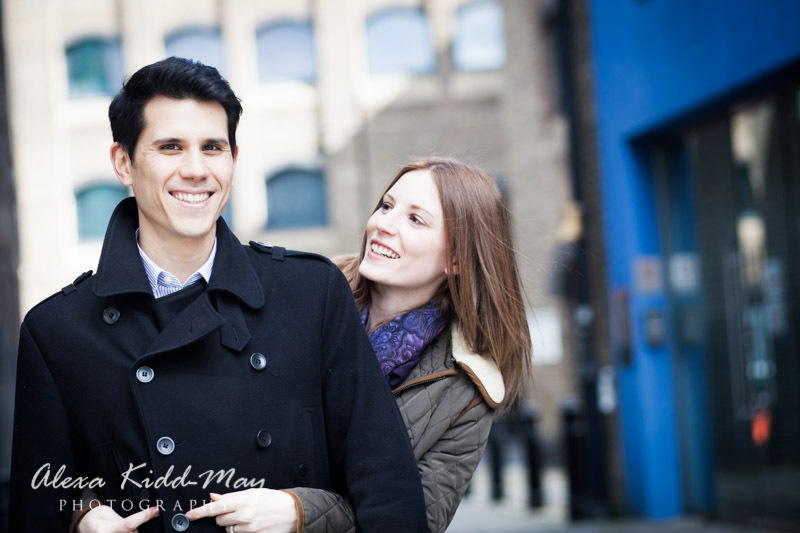 The original date we set turned out to be the same day as the London Marathon. We therefore decided that moving it back a week was probably a good idea if we wanted the chance of a little peace. That turned out to be the right decision because when we met Becky and Derek admitted they were a little nervous at the prospect of being photographed. I assured them that this was perfectly natural and most people felt that way. 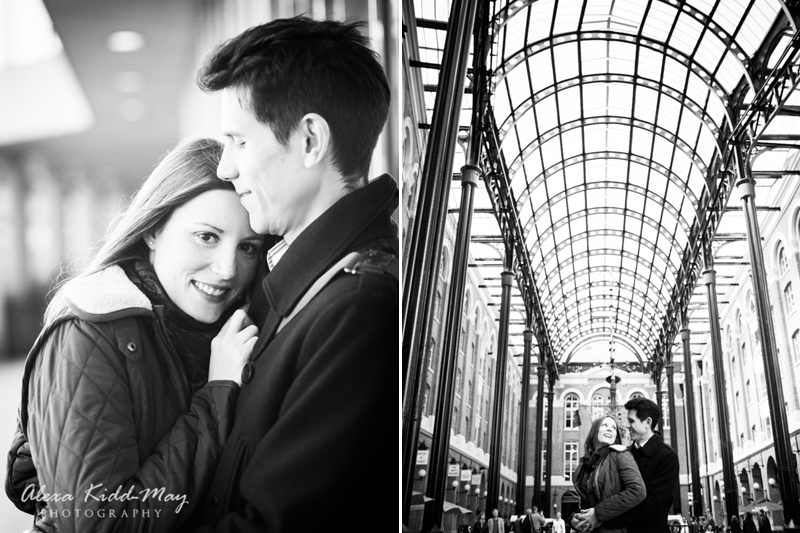 So we started off taking some shots on a few quiet side streets. This way they could get used to the camera without an audience. I also try and help couples to ignore me a lot of the time. They can then just get on with enjoying a chat and a stroll through the area. This ends up producing some really natural shots. 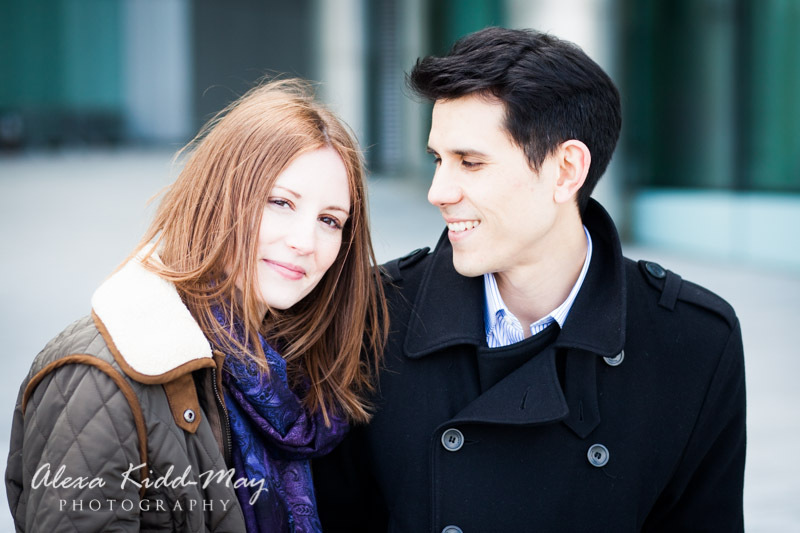 Sometimes this takes a little encouragement but these two turned out to be total naturals. Within a few minutes they had completely relaxed. 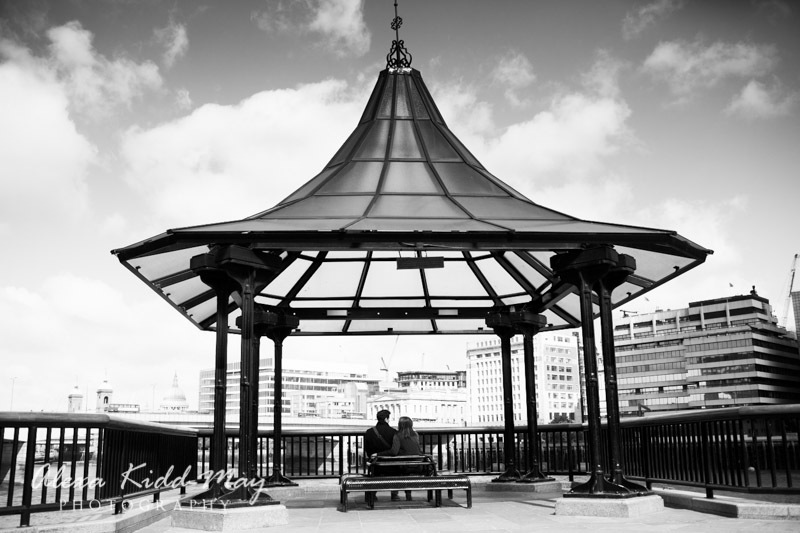 The beauty of a special location for the couple really helps as there can be a few touching moments where they remember a particular memory that has significance for them. After a while we were ready to mingle with the crowds. 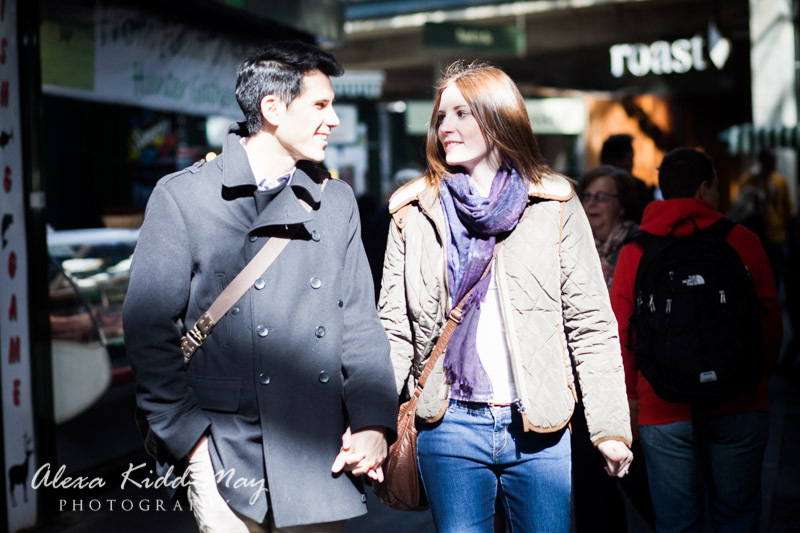 We decided to wander around Borough Market and got some fantastic shots. 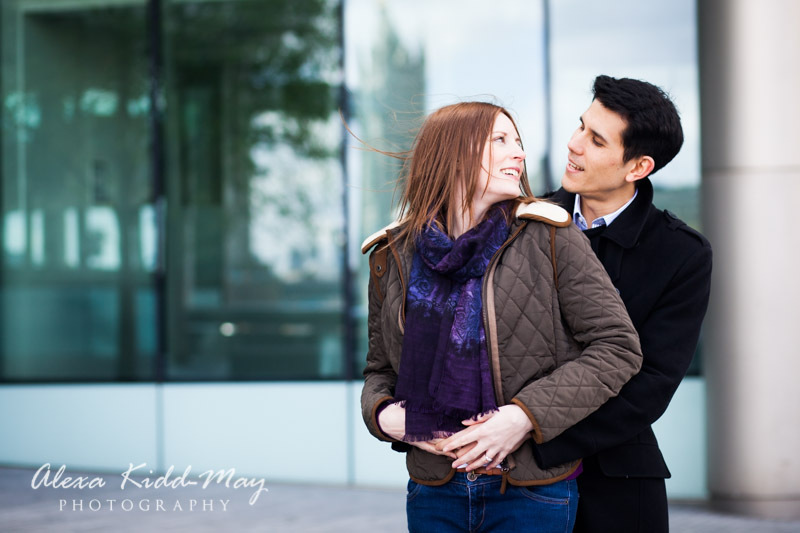 After that we walked along the riverside, talking about their wedding plans and taking photos with different backdrops, not forgetting the Shard of course! 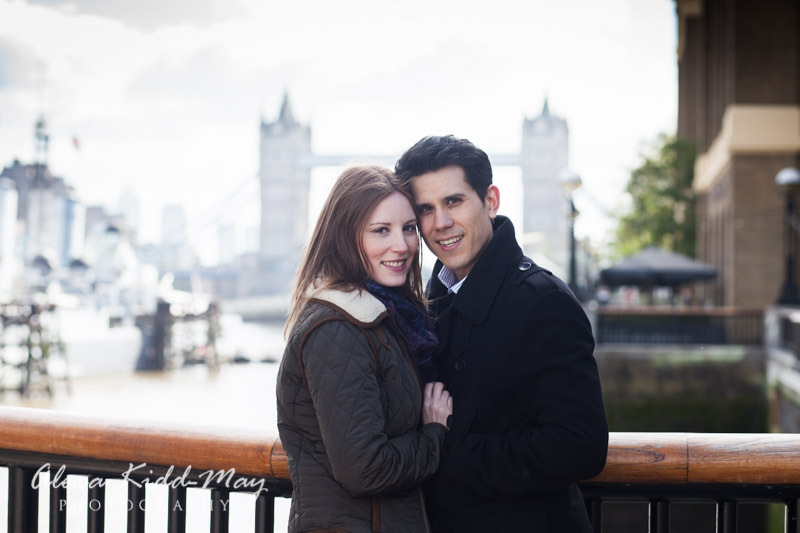 I can’t wait for their wedding in June – it sounds like it’s going to be wonderfully special and relaxed occasion. Beautiful and natural photos ! 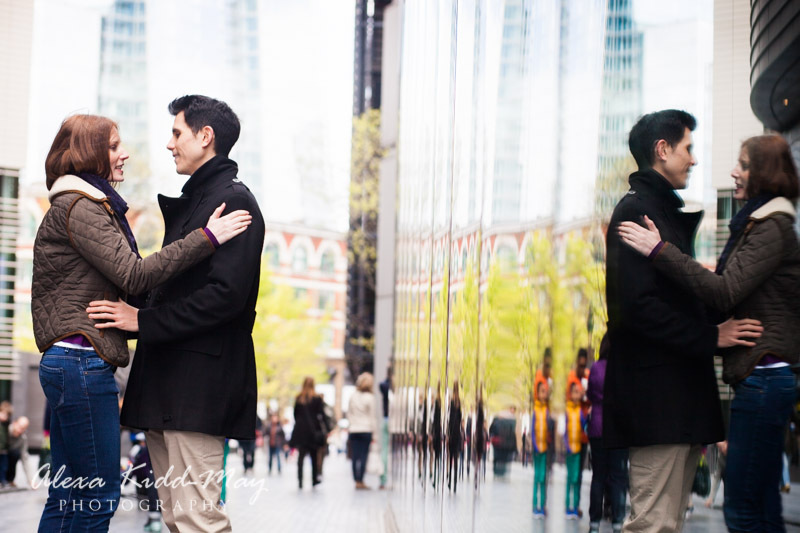 A lovely reminder of a very special time for a very special couple . 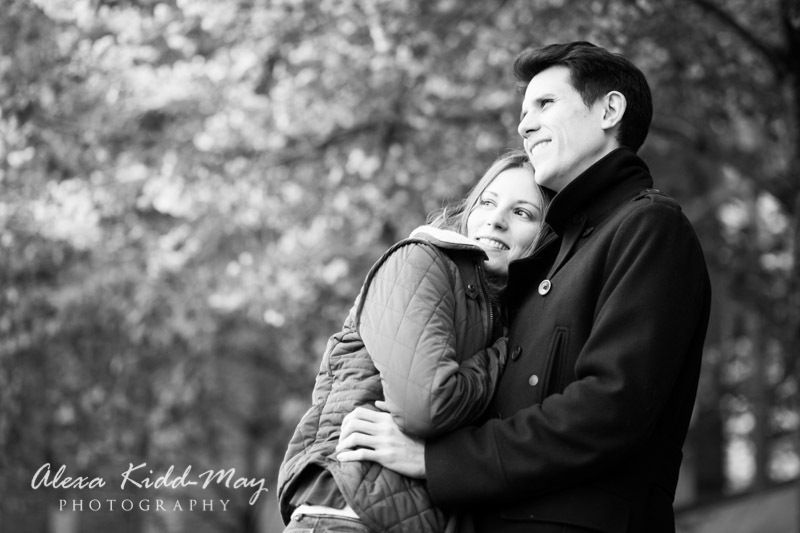 The Wedding Day photos will obviously be truly spectacular !! Thank you Alexa . 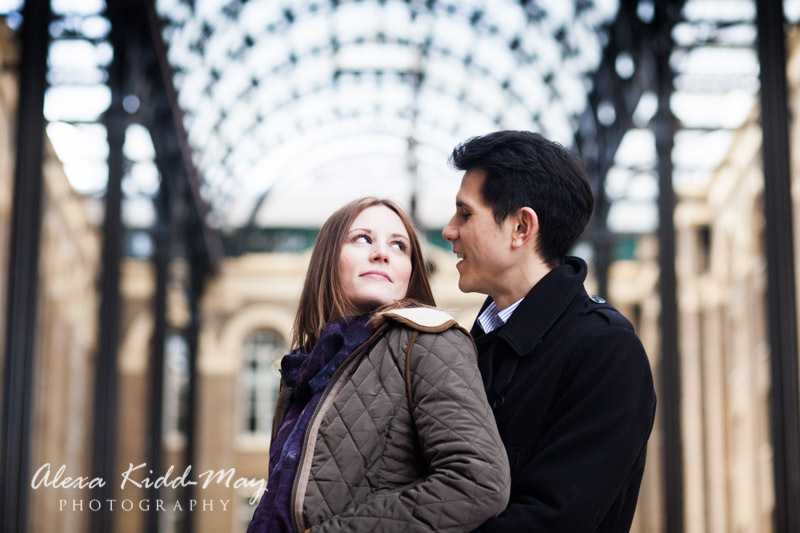 Thanks Deryn – I can’t wait for their wedding day!